Houses & Homes VA: Are home auctions becoming the next “Big Thing”? 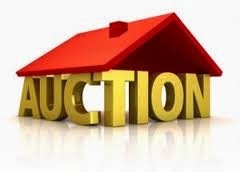 Are home auctions becoming the next “Big Thing”? Usually when we think of a home being sold at auction the first word that comes to mind is “foreclosure” but that is beginning to change. Lately some homeowners are selling their homes at auction in an attempt to “simplify” the selling process. Some of them feel this is a way to have fewer showings and to minimize the process of negotiations. This doesn’t mean that there is no possible give and take between the buyer and the seller but some consider the process to be quicker and less time consuming that the traditional method of selling one’s home. Surprisingly there are also more high value homes appearing at auctions than we have seen in the past. Why is this? Well, home sellers in the higher value range assume that more qualified buyers are apt to show up at an auction and less time will be spent dealing with interested parties that may not be able to finance such a purchase. Properties that are in high demand in areas where homes sell very quickly are also showing up at auctions more often. The rationale of sellers here is that the prospective buyers will be willing to place higher offers due to the location of the property. Naturally the main source of homes being offered at an auction sale are homes that are in need of a lot of repairs as well as distressed properties and investment opportunities. This has always been the main reason for real estate auctions and is likely to stay that way for a long time to come. The bottom line is that investors normally have more funds available to deal with major repairs and many times an auction offers the exact type of homes that they are looking for. Of course there are disadvantages in attempting to sell your home at an auction. First of all there is the possibility of a lot of unannounced home viewers driving by to get a look at the home before attending the auction and once the price is set there is no going back. This is not always a good idea as the real estate market is ever changing and the ability to change the price is often an advantage to sellers. In addition there are fees to be paid when offering a home at auction even if the home doesn’t sell. Finally and perhaps most importantly the home seller doesn’t have the benefit of expert advice as from a qualified and experienced realtor. I can’t imagine attempting to sell my home without the guidance of someone that knows the market in my area. There’s a lot more to selling a home than just “getting the word out” and waiting for the perfect buyer(s) to magically appear. Marketing expertise, the ability to attract prospective buyers, staging and determining a price that is both attractive to buyers as well as fair to the seller are just a part of what it takes to sell home. None of these things are available at an auction and although there may be times to consider this avenue for most people it is clear that the assistance of a professional is a much better choice.